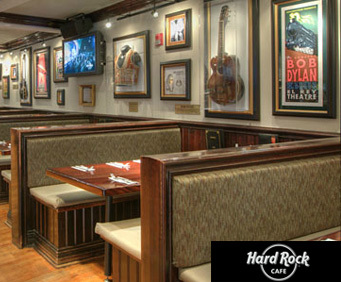 Most guests spend approximately 1.5-2 hours at the restaurant. 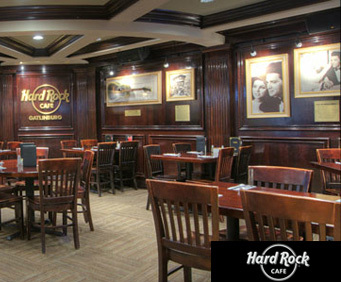 Visit the only Hard Rock Cafe that carries the distinction of operating a real wedding chapel as you dine near memorabilia that belonged to stars like Madonna, Buck Owens, The Grateful Dead, and more! 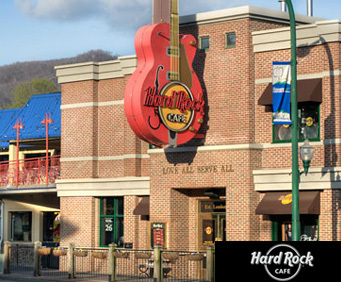 Close to museums, gardens, theaters, the Aquarium, amusement parks and other top Gatlinburg attractions, this treasure trove of one-of-a-kind musical memorabilia is a worthwhile dining experience. See Tom Petty's harmonica used during his Wildflowers tour, a silver dress worn by Tori Amos on her Dew Drop Inn Tour and also a red suit that belonged to Buck Owens, which he wore in 1969 at Carnegie Hall. Also among the more popular artifacts are things that belonged to Frank Black, Wavy Gravy, The Who and Ozzy Osbourne. 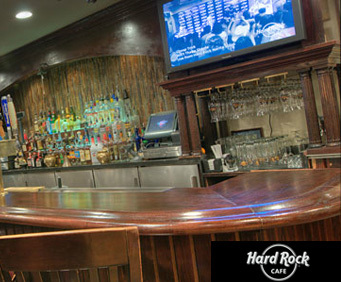 At the Hard Rock Café Gatlinburg, meals are served up fresh and hot in a magical, musical environment that's fun for everyone! The hard rock cafe gatlinburg,could not have renewed our vows in any place better in the world!!!!!!!!!! Management & all the staff made us feel like we were all one big fanily.The hard rock cafe gatinburg,was the best place in the world we could have gone..Just wanted to thank everyone at hard rrok cafe gatlinburg.,for making our vow renewel the best time we ever had!!!!!!!!!!!!!!!!!!!!!!!!! Loved the place,great food and watching the staff sing ymca was fun.